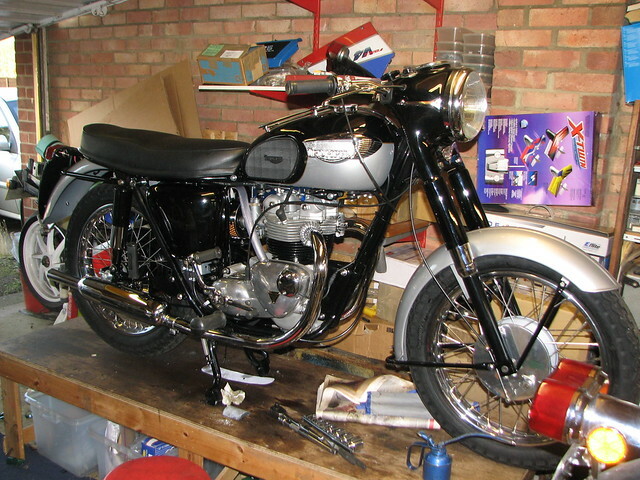 Well the Triumph is 99.99% finished, apart from the engine strip-down to try and address the oil leaks . Came up quite nice from what is was. What can I do next I wonder. Right on SMIFFY, hoping it will get me to the Skerries Road Races in July. Bit far for me mate!.plus I get seasick on them Ferries! Looks great, that an NC30 or and RC30 in the corner? One of the two NC30s I have. Buggers to work on and the carbs get blocked if you leave them for any time. They deserve some TLC I'm ashamed to say. Very nice! Just need to wait for the nice weather to come and put some miles on it. I can't wait to take it for a proper shake down ride, got to get an MOT first. 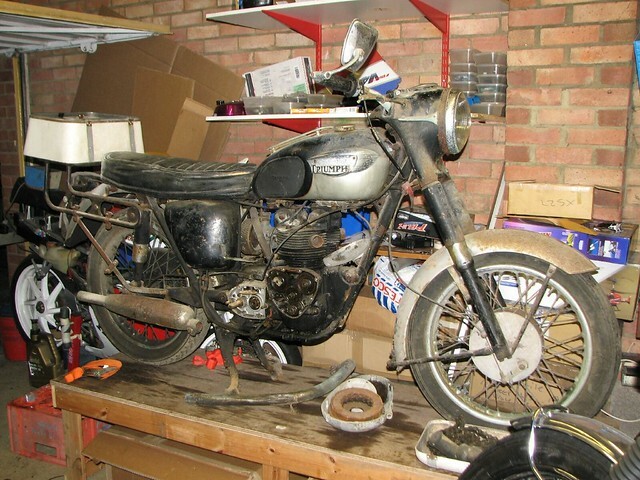 It's going to the Bristol Classic Bike Show on the 18-19 Feb (I get a free exhibitors car pass and two free wrist-bands for the weekend ) and then I shall be dis-assembling the engine to try and sort the oil leaks . It's now ready for the MOT but I'm going to wait a few weeks when I re-new my insurance so that it can be added to the policy.